You're going to get dirty, so bring clothes to change into, e.g. swimsuit, sandals, hat and jacket. You have to reserve the tour in advance. They pick you up from your place, take you to the camp and then take you back to your place. We made the reservation on the website. 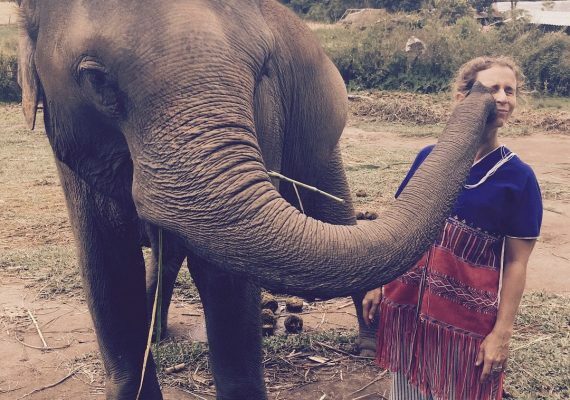 It's a real close experience with the elephants. Our 3-year-old nugget was a bit scared, so he just watched them from afar. But, for our 5-year-old nugget, it was amazing! We did the half-day experience, but there's also a full-day option. For us, a half day was enough as the route to get there is really bumpy and wore out our nuggets. The time of the day will depend on at what time the tour will pick you up. Avoid rainy season, from May till October, but actually, that will depend on the time of the year you're in Chiang Mai. So, if it's raining, you just get wet, that's all. Looking for family activities in Thailand? Take the kids to the elephant sanctuary Chiang Mai. 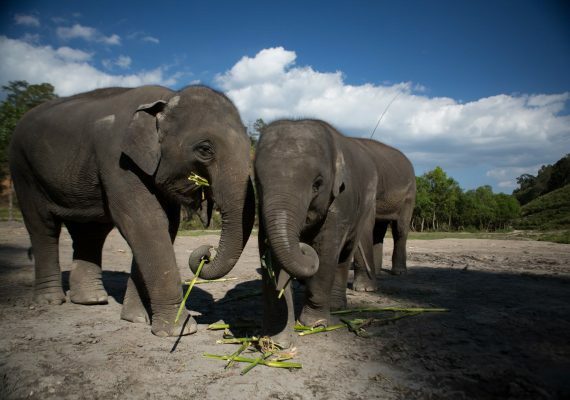 The Elephant Rescue National Park offers fun, up-close experiences with the animals. Get the chance to interact with elephants by feeding, bathing and wandering around with them. A truly unique experience for any nugget. We had a bad experience while riding elephants in Indonesia. They were in chains and we felt so bad after doing it. But here, you feel how they take care of the elephants and actually can be part of the camp for some time. A wonderful chance to be with them in their own natural environment. After the elephant sanctuary, head back into Chiang Mai for a lovely, relaxing meal at the Free Bird Café. 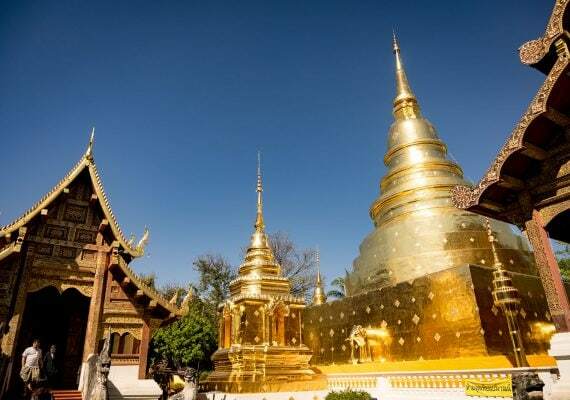 A wonderful family-friendly day in Chiang Mai. We really enjoyed this experience in Chiang Mai as it's an elephant sanctuary with rescued animals. At the Elephant Rescue National Park, they don't ride the elephants and don't have them in chains like we saw in another place. Our nuggets were so sad about those chained elephants. So here in Thailand they really saw them living free in a good environment in this elephant sanctuary. They give you a bag with vegetables and fruits so you can feed the elephants. Our oldest found this amazing, as he could feed them and actually the baby elephant served himself from our nugget's bag! We also gave them a mud bath and got the chance to see a pregnant elephant and ask all the questions about them. For example, did you know they are pregnant for two years before giving birth? The experience will be a long-long memory for us and our nuggets. DIRECTIONS You can only get there with the tour, so they'll pick you up from your place and take you there. The Free Bird Café wasn't the cheapest option, but totally worth it. Our nuggets played Jenga, drew and ate all their food as it was delicious. We ordered the falafel, hummus platter and some spring rolls. I even got an almond milk lavender latte, the best coffee I've ever had. The kids loved the food, [which was great] as sometimes in Thailand food isn't that easy for kids. It also has a small shop which is fun to take a look at while waiting for the food. And, the food might take a while to get to your table, but it's all freshly made and worth it. DIRECTIONS Actually, our hotel was nearby so we walked there, but check the exact way to get there with google maps.